Bank Holiday Weekend plans were quickly disrupted for many passengers travelling from either Heathrow or Gatwick on British Airways. Thousands of travellers had their flights delayed or cancelled following a massive IT failure on Saturday 27 May 2017. Today (30 May 2017) the airline has finally been able to resolve its issues, but unfortunately this has come at a high price for many passengers. 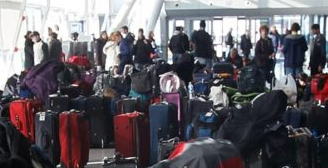 Those who were lucky enough to have their flights rescheduled arrived at their destination after lengthy delays and some further inconvenienced by a lack of baggage. Additionally, passengers could receive up to £540 in compensation for the inconvenience caused, depending on the type of flight that was cancelled. Some may be happy to receive any form of compensation, but is this enough considering the costs of flights and the nature of consequences faced by individual customers whose flights were affected? It is also unclear whether additional inconveniences caused from missed or rebooked flights will be compensated under this scheme. Although the airline have said that they will honour any claim for compensation, this is neither guaranteed nor will compensation be automatic. You must formally apply for compensation and don’t forget that EU compensation rules may apply. UK laws also state that compensation should be awarded where delays have been caused as a result technical faults, which clearly appears to be the case where BA is concerned. It is also one of BA’s policies that compensation claims can be brought for any qualifying flight delays or cancellation that have arisen within 6 years of the incident. If you would like to speak to someone about what may be done to help you regarding delayed or cancelled flights, contact me via email or through LinkedIn to find out whether you may be owed compensation.